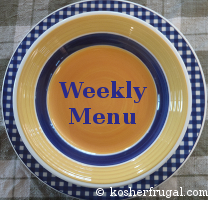 I find it much easier to make sure we don't get "stuck" when I plan my menus for the week. Do you plan? If you do, feel free to link up your plan to mine, if you have it online somewhere!